I can’t get as hyped for it as I want, because we don’t have PSVR. But, maybe if they’ll put it out on Mobile VR or Xbox Kinect it would be awesome. The game looks like a lot of fun and the music in the trailer was great. 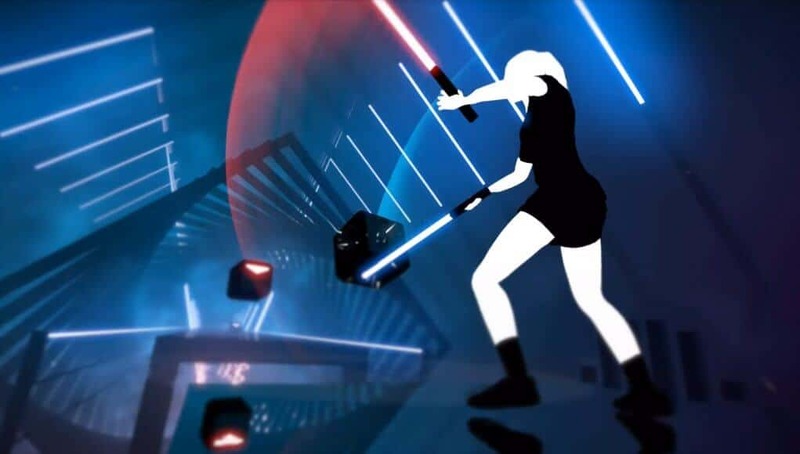 Beat Saber look like a fun game, but the only problem is that it looks really hard. You would have to be really good at it to play it I think. Whoa! What?!? That’s so cool! I wish we had VR. I think it’s really really cool because its like you’re a Jedi but you’re playing Amplitude. It’s like you’re a Jedi and a Sith in one person so they’re just using red and blue. I really liked it because you had swords that you could move around and you had to match it up with the exact block colors. I think it’s really cool. Almost like a puzzle. And I’m really, really, really mad that it can’t go on Xbox, but it looked amazing. So I guess my parents will have to get me a PlayStation.